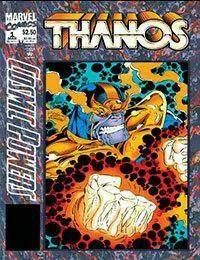 Thanos takes extreme measures to relieve his boredom- measures that involve mass murder! The cosmos tremble as the tyrant searches for a worthy combatant. Enter the cosmic playing field of Marvel's mightiest galactic heroes! Who will be able to stop the Mad Titan?